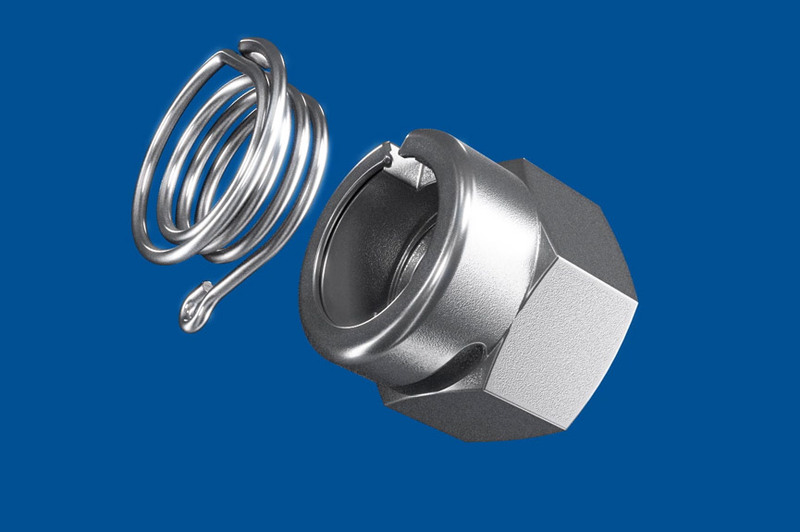 The self-locking nut with complete anti‑rotation locking, even under high dynamic load. No compromises should be made when it comes to safety. SAPER LOCK® self-locking nuts increase the reliability of threaded connections. When subject to dynamic loading, threaded connections can come undone, thus causing the joint to fail. SAPER LOCK® effectively prevents this, even with strong vibrations. A SAPER LOCK® self-locking nut consists of a body with an internal spring. The design of the nut body means that the spring positions itself in the root of the thread if it comes undone and grasps the stud bolt. This prevents it from unscrewing any further. SAPER LOCK® self-locking nuts are especially suited to applications where secure screw locking is paramount. Unlike other screw locking mechanisms, SAPER LOCK® nuts can be used as complete anti-rotation locks, as locking devices and as adjusting and setting elements. This is regardless of the preload force and the hardness of the components being screwed together. No loosening. Even when subject to strong vibrations and dynamic loads. The revision hook enables easy fitting and removal with standard tools. When the nut is screwed in, the spring expands with no extra friction, which means it can be screwed in again and again without any bother. 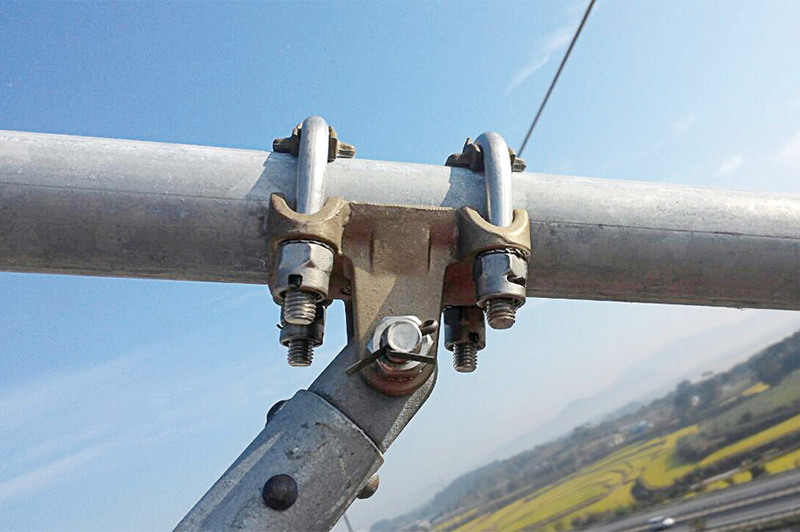 Effective locking of the threaded connection, locking device and control and adjusting function. SAPER LOCK® self-locking nuts are patented worldwide. The innovative SAPER LOCK® self-locking nut features a stainless steel spring that is integrated in the body of the nut. When the nut is screwed in, the spring expands, integrating itself in the body of the nut with virtually no friction. In contrast to conventional clamping nuts, this makes assembly easy as the spring does not generate any additional frictional torque. The nut does not wear and can be used again and again. The spring is elastic which means it positions itself in the root of the thread if it comes undone. 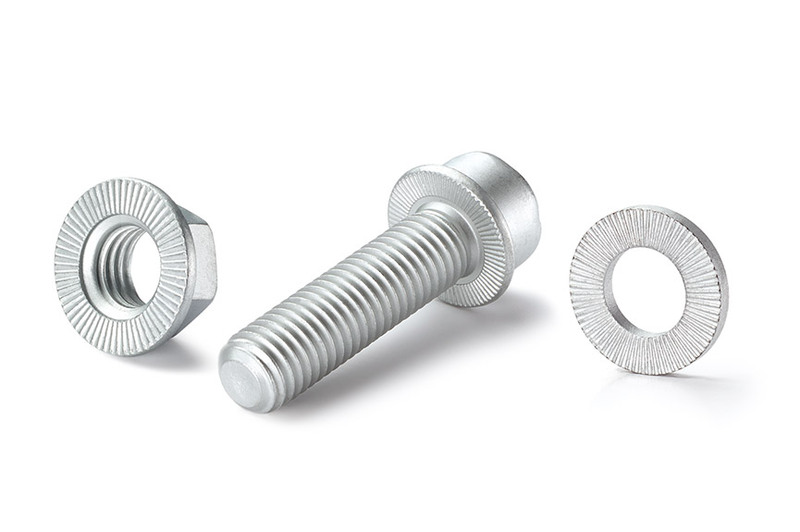 In doing so, it tightly grasps the stud bolt so that the screw locking cannot come undone any further. Self-locking nuts with a clamping part only stop the joint from falling apart. The advantage of SAPER LOCK® is that it maintains the preload force in the joint - regardless of the hardness of the components to be screwed together and the applied preload force. This is what makes joints using SAPER LOCK® self-locking nuts so secure. The SAPER LOCK® self-locking nut can be easily removed thanks to the revision hook fitted to the side of the spring. This hook is actuated with a socket wrench attachment so that the locking mechanism is held in position. The SAPER LOCK® self-locking nut can then be unscrewed without any increased frictional resistance. The Junker vibration test in accordance with DIN 65 151 is a proven method of testing the safety of threaded connections when exposed to vibrations and dynamic loads. During the Junker test, the fasteners are tightened to a defined preload force and are then exposed to a dynamic lateral load. The preload force is continuously recorded while the load is applied. 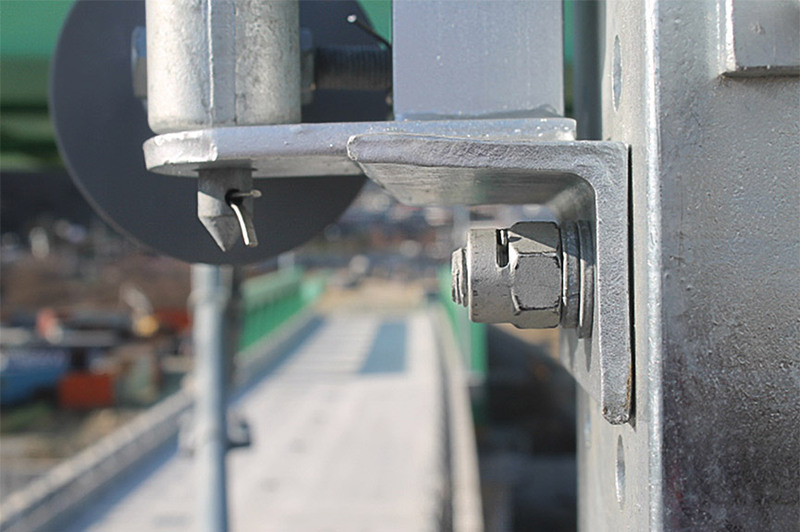 The preload force in the joint was maintained at above 80% using the SAPER LOCK® self-locking nut, which meant that it passed the test without any problems. Connections that are not secured sufficiently loosen resulting in a reduction of the preload force. The diagram opposite illustrates the behaviour of threaded connections that were not secured adequately in comparison to threaded connections where SAPER LOCK® self-locking nuts were used. The preload force of a SAPER LOCK®, an unsecured nut and a self-locking nut in relation to the number of load cycles (Junker vibration test).